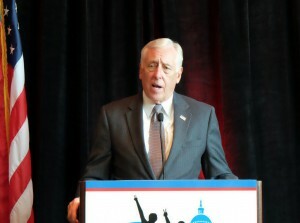 “Republican governors have joined with Democratic governors across the country over the last few years to put employment for people with disabilities high on their agenda and I think it’s important,” he added. 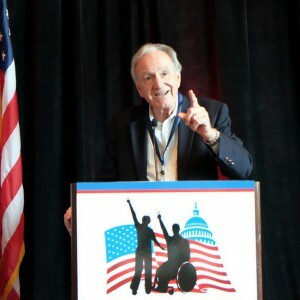 Former Iowa Sen. Tom Harkin said, now that he was no longer a sitting senator, he was glad to be able to focus on his true passion – competitive, integrated employment for people with disabilities. 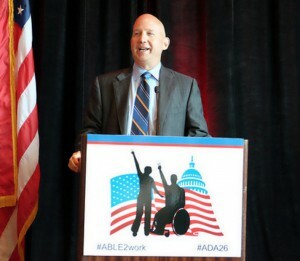 He called for an end to subminimum wage and the passage of the Disability Integration Act to enable people with disabilities to live where they want with whom they want – and not be forced to live in an institution. Both of these items, Harkin said, are a barrier to true employment. 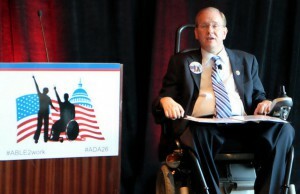 Rep. Jim Langevin (D-RI), who acquired a disability prior to the enactment of the ADA, touted how the law affected his life and granted people with disabilities legal protections against discrimination but agreed it’s just the beginning. Langevin listed items like affordable housing, public transportation, education, healthcare, employment and full access and inclusion as items that still are not a reality for many people with disabilities. “Recognize that all of us have abilities and we ought to focus on the ability not the disability,” he added. Sponsored by AT&T, American Occupational Therapy Association, Association of University Centers on Disabilities, American Association of People with Disabilities, National Down Syndrome Society, Institute on Disabilities at Temple University, The Children’s Hospital of Philadelphia and LEND Center of Pittsburgh, the event celebrated an economic empowerment agenda for Americans with disabilities following the ABLE Act, currently being championed by Pennsylvania Sen. Bob Casey, who also addressed the luncheon. 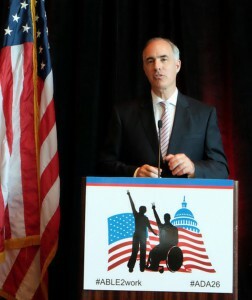 “People with disabilities have abilities, as long as we give them the tools they need to succeed,” the Pennsylvania senator said.